Chandragupta Maurya (Sanskrit: चन्द्रगुप्त मौर्य), (born c. 340 BCE, ruled c. 320 BCE, – 298 BCE) was the founder of the Maurya Empire. Chandragupta succeeded in conquering most of the Indian subcontinent. According to some ancient Buddhist texts, he claims descent from the Shakya rulers of solar race. Buddhist texts describes about his lineage with the "Moriya" clan of Shakya rulers hence he was the scion of the solar race of Kshatriya's. Having defeated the Greek satrap in the Khyber mountains around 303 BCE, Chandragupta was crowned King at Taxila. As a result, Chandragupta is considered the first unifier of India and its first genuine emperor. In foreign Greek and Latin accounts, Chandragupta is known as Sandrokyptos (Σανδρόκυπτος), Sandrokottos (Σανδρόκοττος) or Androcottus. Prior to Chandragupta's consolidation of power, small regional kingdoms dominated the northwestern subcontinent, while the Nanda Dynasty dominated the middle and lower basin of the Ganges. After Chandragupta's conquests, the Maurya Empire extended from Bengal and Assam in the east, to Afghanistan and Balochistan in the west, to Kashmir and Nepal in the north, and to the Deccan Plateau in the south. Little, if anything, is known for certain about Chandragupta Maurya's origins. Many Indian historians held the view that Chandragupta was an illegitimate child of the Nanda Dynasty of Magadha in eastern India, born to a Nanda prince and a maid named "Mura", later literary traditions imply that Chandragupta may have been raised by peacock-tamers (Sanskrit: Mayura-Poshaka), which earned him the Maurya epithet. Both the Buddhist as well as Jain traditions testify to the supposed connection between the Moriya (Maurya) and Mora or Mayura (Peacock). .This literary traditions according to which Chandragupta belonged to Moriyas, a Kshatriya clan of a little ancient republic of Pippalivana ("Piparahiyan" in modern day in Gorakhpur) located between Rummindei in the Nepali Terai and Kasia in the Gorakhpur district of Uttar Pradesh. A kshatriya people known as the "Mauryas" who had received the relics of the Gautama Buddha are also mentioned in the Mahaparinibbana Sutta of the Digha Nikaya: "Then the Moriyas of Pipphalivana came to know that at Kusinara (known as KushiNagar as a district of Uttar Pradesh near Gorakhpur) the Blessed One had died. And they sent a message to the Mallas of Kusinara, saying: "The Blessed One was of the warrior caste, and we are too. We are worthy to receive a portion of the relics of the Blessed One. We will erect a stupa over the relics of the Blessed One and hold a festival in their honor. The Buddhist text of the Mahavamsa calls Chandragupta a section of the Khattya (Kshatriya) clan named Moriya (Maurya). Divyavadana calls Bindusara, son of Chandragupta, an anointed Kshatriya, Kshatriya Murdhabhishikata, and in the same work, king Ashoka, son of Bindusara, is also styled a Kshatriya. The Mahaparinnibhana Sutta of the Buddhist canon states that the Moriyas (Mauryas) belonged to the Kshatriya community of Pippalivana. These traditions, at least, indicate that Chandragupta has come from a Kshatriya lineage. The Mahavamshatika connects him with the Sakya clan of the Buddha, a clan which also claimed to belong to the race of Aditya i.e. solar race. 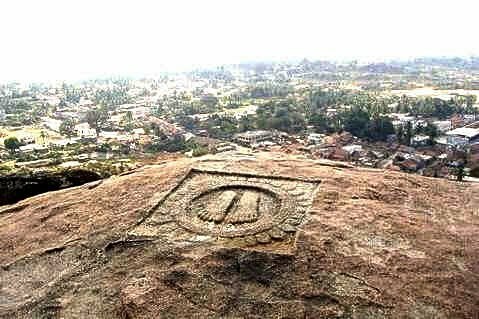 A medieval inscription represents the Maurya clan as belonging to the solar race of Kshatriyas. It is stated that the Maurya line sprang from Suryavamsi Mandhatri, son of prince Yuvanashva of the solar race . “ The first statue installed in the courtyard opposite Gate No. 5 of Parliament House, is of the great Indian Emperor Chandragupta Maurya It is incribed on it that "Shepherd Boy Chandragupta Maurya dreaming of the India he was to create". Historically, founder of the Mauryan dynasty Chandragupta Maurya was a (Shepherd) boy who with the help of the Brahmin Chanakya revolted against the atrocities of the Nanda kings and established the Mauryan Empire. Very little is known about Chandragupta's youth. what is known about his youth is gathered from later classical Sanskrit literature, as well as classical Greek and Latin sources which refer to Chandragupta by the names "Sandracottos" or "Andracottus". He was paragon for later rulers. By this statement, it shows the noble or high origin of Chandragupta Maurya . According to this tradition, the encounter would have happened around 326 BCE, suggesting a birth date for Chandragupta around 340 BCE. Junianus Justinus (Justin) describes the humble origins of Chandragupta, and explains how he later led a popular uprising against the Nanda king:he was known as king of the time. Chandragupta Maurya with the help of Chanakya defeated the Magadha kings and the bulk army of Chandravanshi clan and defeated generals of Alexander settled in Gandhara (Kamboja kingdom of Aryan Mahajanpad) which is called as Afghanistan now. At the time of Alexander's invasion, Chanakya was a teacher at Takshasila University. The king of Takshasila and Gandhara, Ambhi (also known as Taxiles), made a treaty with Alexander and did not fight against him. Chanakya saw the foreign invasion against the Indian culture and sought help from other kings to unite and fight Alexander. Porus (Parvateshwar), a king of Punjab, was the only local king who was able to challenge Alexander at the Battle of the Hydaspes River, but was defeated. Kautilya's role in the formation of the Mauryan Empire is the essence of a historical/spiritual novel The Courtesan and the Sadhu by Dr. Mysore N. Prakash. It is noted in the Chandraguptakatha that the protagonist and Chanakya were initially rebuffed by the Nanda forces. Regardless, in the ensuing war, Chandragupta faced off against Bhadrasala – commander of Dhana Nanda's armies. He was eventually able to defeat Bhadrasala and Dhana Nanda in a series of battles, ending with the siege of the capital city Kusumapura and the conquest of the Nanda Empire around 321 BCE, thus founding the powerful Maurya Empire in Northern India by the time he was about 20 years old. Mainstream scholarship asserts that Chandragupta received vast territory west of the Indus, including the Hindu Kush, modern day Afghanistan, and the Balochistan province of Pakistan. 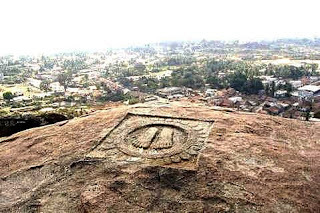 Archaeologically, concrete indications of Mauryan rule, such as the inscriptions of the Edicts of Ashoka, are known as far as Kandhahar in southern Afghanistan. It is generally thought that Chandragupta married Seleucus's daughter, or a Greek Macedonian princess, a gift from Seleucus to formalize an alliance. In a return gesture, Chandragupta sent 500 war-elephants, a military asset which would play a decisive role at the Battle of Ipsus in 302 BCE. In addition to this treaty, Seleucus dispatched an ambassador, Megasthenes, to Chandragupta, and later Deimakos to his son Bindusara, at the Mauryan court at Pataliputra (modern Patna in Bihar state). Later Ptolemy II Philadelphus, the ruler of Ptolemaic Egypt and contemporary of Ashoka the Great, is also recorded by Pliny the Elder as having sent an ambassador named Dionysius to the Mauryan court. There are two hills in Shravanabelagola, Chandragiri (Chikkabetta) and Vindyagiri. The last shruta-kevali, Bhadrabahu Swami, and his pupil, Chandragupta Maurya (formerly the King), are believed to have meditated here. Chandragupta Basadi, which was dedicated to Emperor Chandragupta Maurya, was originally built there by Emperor Ashoka in the third century BC. Chandragupta Maurya renounced his throne to his son, Bindusara, who became the new Mauryan Emperor. Bindusara later became the father of Ashoka the Great, who was one of the most influential kings in history due to his important role in the history of Buddhism. Ashoka the Great left his life of war to study the art of Buddhism. Ashok's grandson Samprati ruled from Ujaain. He was staunch supporter of Jainism and helped the Jain monks to spread Jainism all over India under guidence of his teacher Acharya Suhasti. 1 Kulke, Hermann; Rothermund, Dietmar (1998) . A History of India (Third ed.). London: Routledge. pp. 59. ISBN 0-415-15481-2. 3 a b Boesche, Roger (January 2003). "Kautilya's Arthaśāstra on War and Diplomacy in Ancient India". The Journal of Military History 67 (1): 9–37. doi:10.1353/jmh.2003.0006. ISSN 0899-3718. 5 Shastri, Nilakantha (1967). Age of the Nandas and Mauryas. Delhi: Motilal Banarsidass. p. 26. ISBN 81-208-0465-1. 7 H. Goetz (1955). "Early Indian Sculptures from Nepal", Artibus Asiae 18 (1), p. 61-74. 9 a b c d Ramesh Chandra Majumdar (1977). Ancient India. Motilal Banarsidass Publ. ISBN 8120804368. 12 a b c d e f Radha Kumud Mookerji, Chandragupta Maurya and His Times, 4th ed. (Delhi: Motilal Banarsidass, 1988 ), pp. 31, 28–33. 14 Boesche, Roger (January 2003). "Kautilya's Arthaśāstra on War and Diplomacy in Ancient India". The Journal of Military History 67 (1): 9–37. doi:10.1353/jmh.2003.0006. ISSN 0899-3718. "Kautilya [is] sometimes called a Chancellor or Prime Minister to Chandragupta, something like a Bismarck..."
15 Trautmann, Thomas R. (1971). "The Cāṇakya-Candragupta-Kathā". Kauṭilya and the Arthaśāstra: A Statistical Investigation of the Authorship and Evolution of the Text. Leiden: E.J. Brill. 16 John Marshall Taxila, p. 18, and al. 17 Vincent A. Smith (1998). Asoka. Asian Educational Services. ISBN 8120613031. 18 Walter Eugene Clark (1919). "The Importance of Hellenism from the Point of View of Indic-Philology", Classical Philology 14 (4), p. 297-313. 22 W. W. Tarn (1940). "Two Notes on Seleucid History: 1. Seleucus' 500 Elephants, 2. Tarmita", The Journal of Hellenic Studies 60, p. 84-94. 23 Partha Sarathi Bose (2003). Alexander the Great's Art of Strategy. Gotham Books. ISBN 1592400531.